Well, the day if finally upon us. Yes, Guy Kawasaki IS hosting #DadChat this Thursday, May 17 from 6:00 – 7:00 p.m. PST. It WILL be the biggest #DadChat ever, I promise, plus full of useful information from this iconic figure. We will be talking about his latest book, “What the Plus!” as well as HIS experiences being the father of four. My latest column Is GLEE Gay? takes on Hollywood and its agenda by comparing “Glee” with “Modern Family.” Please weigh in with your comments. I hope you are loving the evolving I’m NOT That Dad vlogs with #15 coming up soon! Please check ’em out as well as the great artwork and fun stories in the Because I Said So comic strips. #DadChat tonight takes on our Entitled and SPOILED kids! Is it all our fault or has society contributed? I like to blame my generation – the boomers – for most everything bad that is going on so that’s going to be my take. We’ve made our kids spoiled. Join us and add your thoughts at 6:00 p.m. PST tonight, May 10. Be sure to mark May 17th on your calendar when Guy Kawasaki joins #DadChat. Happy Mother’s Day moms – and dads, Do NOT do what “Dad” did in our current Mother’s Day Because I Said So comic! I hope you also enjoy – half as much as I did – the new I’m NOT That Dad vlog which was mostly shot by my son’s best friend as an homage to me. Very cool. This Thursday we are trying something new as #DadChat and #CollegeCash are having a double header! Join us at 6:00 – 8:00 p.m., PST as we discuss college, paying for it, preparing for it – us and our kids, and whether it is good for every kid! New columns are Friends and Politics and #SocialMedia IS the New Billboard. The new Because I Said So is on the home page and I hope you’re enjoying the GREAT artwork from VoogDesigns. He’s offering a great caricature deal for BruceSallan.com and #DadChat fans – just look at the ad on every page on this site. I skied my last day of the season yesterday and I can honestly say, I’m done – for now. Counting down to next season already! Went to see the Boss last night. Amazing show. Lousy seats and WHAT is with starting 70 minutes late? Hope to have some video to post soon. Took my son and a friend and relived taking him to see The Boss about a decade ago, when he didn’t appreciate it. THAT is the best part of parenting…so very cool to share these sort of things! New column is #SocialMedia IS the New Billboard as I continue to add a second weekly column that is usually more Social Media oriented. The new “Because I Said So” is really silly – watch out for “Dad” in the next SI swimsuit issue! Do you think in politically correct terms? I sure as heck don’t and express it in PC Lies – let me know what YOU think? Have YOU signed up for my newsletter yet? And, why not? No spam, just one weekly update that will keep you connected to our great community, #DadChat included! Got a couple fun, new columns up this week. Seven Days Without My iPhone was my true adventure and the REAL challenge I faced on my recent heli-skiing trip. After seeing the new DisneyNature film “Chimpanzee,” I was inspired to write An Ironic Father-Son Story #IRL. You will immediately understand the title upon reading the column. We’ve got great guests lined up for #DadChat, with The Barefoot Executive, Carrie Wilkerson coming this Thursday, April 19 and Mack Collier of #blogchat joining us the following Thursday, April 26. Please don’t forget to mark your calendar for May 17, when Guy Kawasaki is our very special co-host. 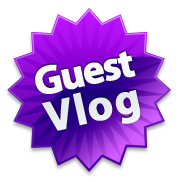 I hope you’re enjoying my vlogs – the 10th one will be posted tomorrow in the I’m NOT That Dad area. And, stay tooned for the next Because I Said So comic in which dad lets one out…so to speak…this one again taking place at the gym. Well, I’m back from an incredible trip to The Cariboos, a mountain range where I went heli-skiing for 6 days. Read about it and see the pictures and some videos in my current I’m NOT That Dad and my column, How to Ski Out of This World, which has a link to the Picassa photo album of the best 100+ photos. #DadChat tomorrow – Thursday, April 12 – will be about Teaching Responsibility. The implication, of course, is teaching our kids responsibility but the reality is that we parents model behavior and I would suggest it’s not always responsible. Don’t forget that Guy Kawasaki, who was supposed to appear this week, had to reschedule for May 17. Please plan to come for probably our biggest #DadChat ever! Last night we had a fun #DadChat (read the transcript) talking about reading our spouse’s minds and what we fight about. Next week is our 1-year anniversary with very special co-host, Guy Kawasaki. Mark your calendars for April 12, 6:00 – 7:00 p.m., PST so you don’t miss . I love the new Because I Said So comic, Dad Does the Laundry. Guy Kawasaki! Also, for a run and oh-too-real video, enjoy Road Trip, the latest “I’m NOT That Dad” vlog. I’m finishing up my heli-skiing trip – today is our last full day of skiing. If you’d like to see a bit of videos, go to the DadsPov YouTube Channel. Finally, are you Staying In the Loop? All you have to do to get our weekly newsletter is sign up above! NO spam, NO solicitations, just a short once-a-week newsletter!